Massachusetts State Route 12 is a north-south highway in Central Massachusetts. It runs completly within Worcester County. This runs from the Connecticut/Massachusetts State Line, near Webster, to the New Hampshire/Massachusetts State Line, near Winchendon. 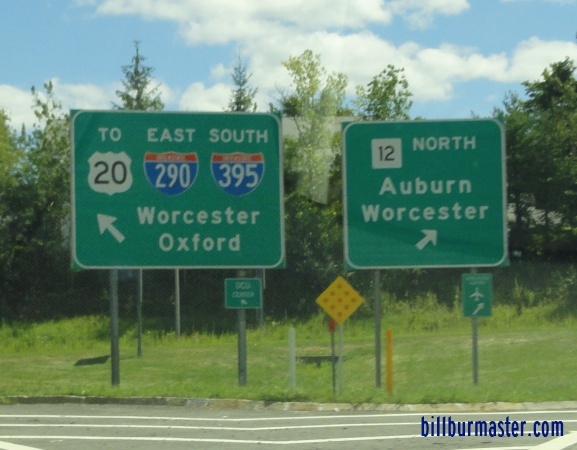 MA St Rt 12 passes through the following towns in Worcester County. MA St Rt 12 is multi-plexed in Worcester County. U.S. Rt. 20, near Auburn. Massachusetts State Route 140, near West Boylston. Massachusetts State Route 62, at Sterling. Massachusetts State Route 2A, at Fitchburg. Massachusetts State Route 31, at Fitchburg. U.S. Rt. 202, at Winchendon. 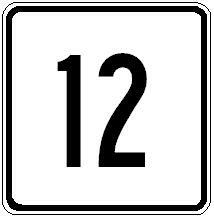 MA St Rt 12 crosses the following highways in Worcester County. Massachusetts State Route 197, at Webster. Massachusetts State Route 16, at Webster. Massachusetts State Route 56, near Auburn.U.S. Rt. 20, near Auburn. U.S. Rt. 20, at Auburn. 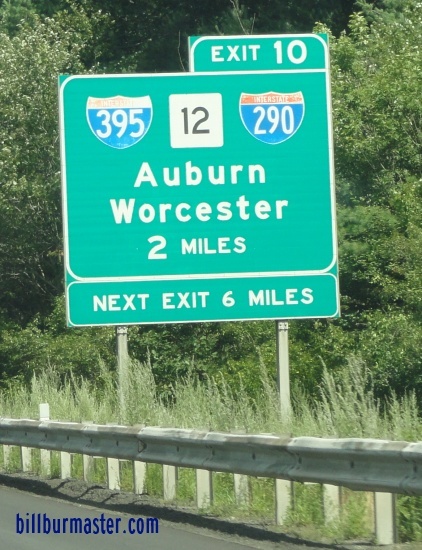 Interstate 90, (Massachusetts Turnpike), at Auburn. MMassachusetts State Route 9, at Worcester. Massachuestts State Route 122, at Worcester. Massachusetts State Route 9, at Wocester. Massachusetts State Route 140, at West Boylston. Massachusetts State Route 110, at West Boylston. Massachusetts State Route 117, at Leominster. Massachusetts State Route 13, at Leominster. Massachusetts State Route 2, at Leominster. Massachusetts State Route 101, at Ashburnham. Massachusetts State Route 140, near Winchendon. 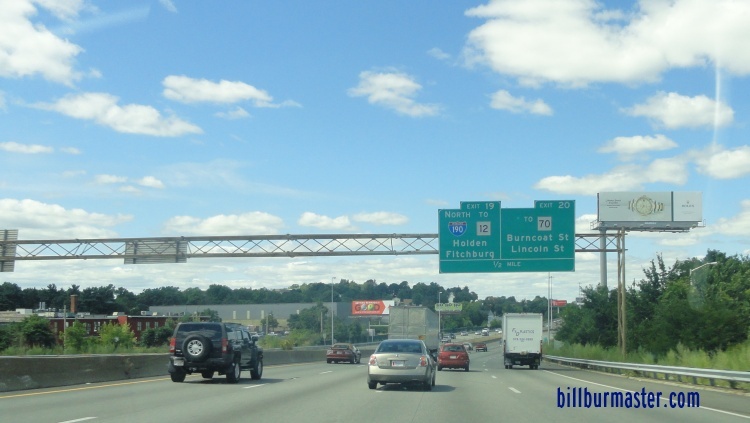 A BGS on a ramp from EB I-90/MassPike. 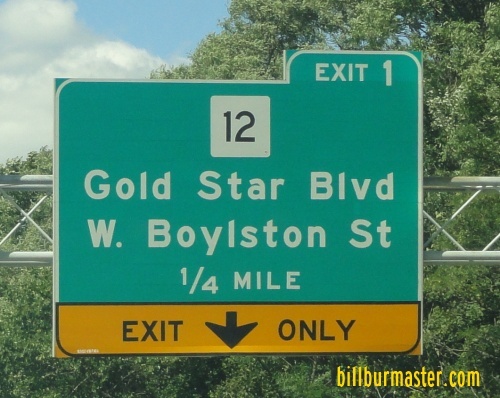 A guide marker on a ramp from EB I-90/MassPike. A BGS on NB I-190.